I was holding Ty and looking outside over the foothills of the cascade mountains and I looked at Ty's face as I held him. I tried to figure out how I could love him so much. He can't even talk yet. As I looked at his face I realized: I love him because he is mine. I had a part in making him and he is mine. Not to long ago I helped out at Emma's (my 5 year old) preschool. Two of the 5 year old boys were arguing over my daughter. "my Emma" "no my Emma." I stopped both of them and got down on my knees so I could be at their level and I said "actually, she is MY Emma." Today is a super clear day in Seattle. On a day like today I can see the mountains that surround the city. I think of the Psalm 125:2 "As the mountains surround Jerusalem, so the LORD surrounds His people from this time forth and forever." I find it amazing that as I hold my son and look at his face, the mountains and hills around Seattle that the creator of the universe sees me the same way. He loves me because I am His. He created me and when I do dumb things He still likes my face. Why?! because He made me and He has great things for me to do with my life! be encouraged Friends. Your His. He made You. If your running from Him just turn around. He wants to hold you and look at your face and enjoy His creation. He wants to be enjoyed by you the way a baby smiles at his mom and dad. And man, is that smile worth a lot! Michael Jackson was right. 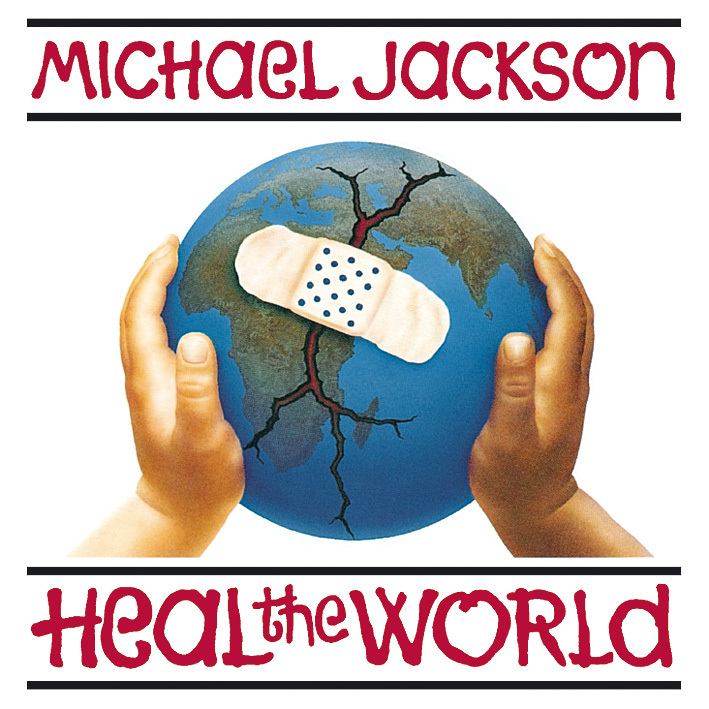 It's time to heal the world and make it a better place. for you and for me and the entire human race! I have been a religious person my whole life. I love God. I love my wife. I love my kids. 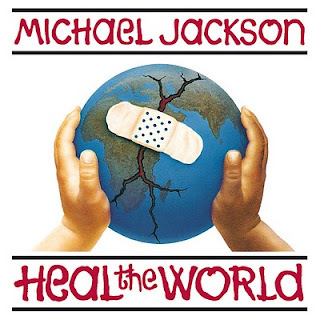 Healing the world?! sure, some times. I think about Darfur. I think about earthquakes in Haiti. I think about floods in Australia. I think about the high rate of abortion. I think about the struggle of women in society. I think Martin Luther King Jr. and the civil rights movement. The truth is, I only think about them when they are put in front of me (after all it is Martin Luther King Day). I think about them when they're on the news. I think about them when I watch George Clooney on dateline. I think about them when I run into Scriptures like James 1:27: "Pure and undefiled religion before God and the Father is this: to visit orphans and widows in their trouble, and to keep oneself unspotted from the world." then they fade from thoughts. This past Shabbat I spoke about Tikkun Olam (literally: The Healing of the World). 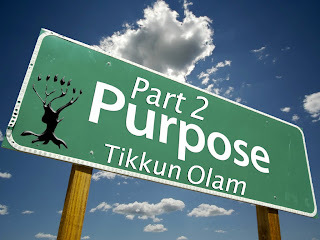 The last two weeks have been an introduction to Beit Messiah's new purpose statement (check out the podcasts on iTunes or our Website): "Our Purpose is to walk in the likeness of Messiah Yeshua (Messianic Halacha) and partner with Adonai in the healing of the world (Tikkun Olam)." 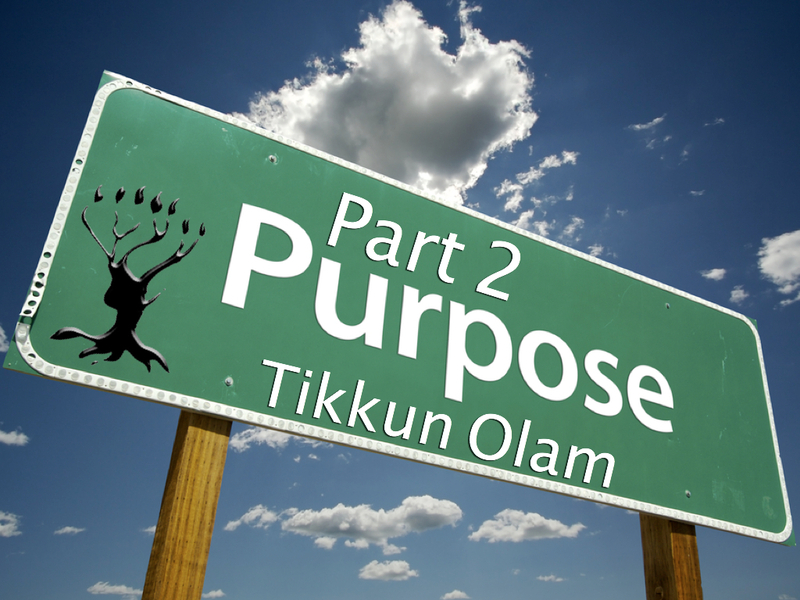 I included Tikkun Olam in our new purpose because I have always been moved to do something for the world around me. I have prayed about it a lot. I have been "waiting" for direction from God as to what role I should play. Then it struck me. Its all a sham. I haven't been "waiting" I have been avoiding what I know my responsibility is. Not just because I am religious. but because I am a human being. The Gospel of Yeshua is more than just spiritual salvation. It is spiritual. but it is also physical, emotional, and psychological. Yeshua didn't just offer people salvation. He offered power and authority to do real things in a real world. It seems easy to just offer salvation to people and tell them to trust that they will get to Heaven. But eternity has already started and Yeshua said many times that the Kingdom of God is right here and right now. I want to be like Him with all of my heart but being like Him means I have to partner with Him in healing the world. I am making a commitment to engage with what I most care about in 2011. I love God. I love my wife. I love my kids. And I am going to work hard to love the world around me (and those far from me). I am making this commitment as an individual, as a husband, as a father and as a Rabbi. This year I am going to lead people around me to think bigger, to dream bigger, pray bigger and actually DO bigger than we have ever imagined. because I love God. because I love my wife. because I love my kids. because I love my Synagogue (and the people in it :) and if I really do love all of these then I've got to love the world that God has put me in. More than just spiritually but also working to bring healing to people physically, emotionally, and psychologically. I want to go for healing the whole person to the best of my ability and if I can't do it I want to find someone who can. In Luke 4:16-19, Yeshua introduced Himself as the Messiah (for the whole world) in His hometown of Nazareth He quoted Isaiah 61, “The Spirit of ADONAI is upon me; therefore he has anointed me to announce Good News to the poor; he has sent me to proclaim freedom for the imprisoned and renewed sight for the blind, to release those who have been crushed, to proclaim a year of the favor of ADONAI.” I want to be that. Yeshua said we could be that. I want to be like Him so 2011 is the year I go for it. to walk in the likeness of Messiah Yeshua (Messianic Halacha) and partner with Adonai in the healing of the world (Tikkun Olam). to WORSHIP the God of Israel, LOVE people, BUILD community and SHARE the message of Yeshua with our Jewish people and the nations. It is hard to live without purpose. The question "why am I here?" has the ability to be encouraging or depressing depending on where your answers come from. For the life of our Synagogue it is important to determine "why are we here?". This new purpose is an attempt to answer that question. What does it mean to walk in the likeness of Messiah? 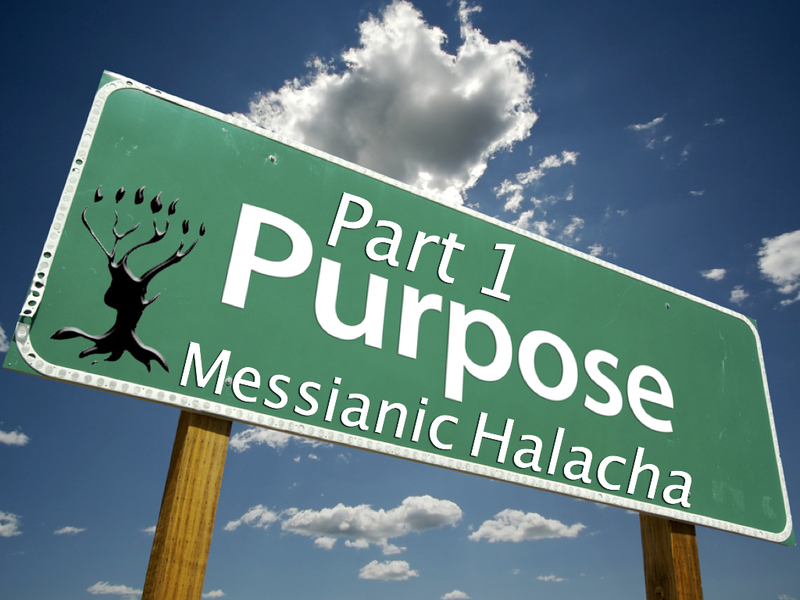 What is "Messianic Halacha"? 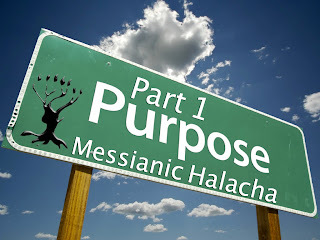 Halacha means "to walk" and Messianic means "follower of Messiah". I realize that orthodox Judaism has the market cornered on Halacha. There are rulings and traditions that go back thousands of years. I am not negating that entirely. But, for our Synagogue, our goal is to "walk in the likeness of Messiah Yeshua." In order to follow a "Messianic Halacha" all Halacha, in fact all we do in life, must be re-examined and re-thought through in light of the Messiah and what He would do. You may remember a few years ago lots of people were wearing WWJD? (what would Jesus do?) bracelets. My dad would always answer, "He would go to Synagogue!" The focus of the WWJD? movement seemed to be on spiritual principals. How would Jesus love in this situation? But there is a practical side to the question as well. What would Yeshua do on Shabbat? What holidays would Yeshua celebrate? There are things that He did in his life that we strive to do in our Synagogue. With the same reasoning that Yeshua used; that it is commanded in Torah. Whenever we get into this discussion it is important to point out that this is not for everyone. None of the commandments have to do with salvation. Not doing specific commandments does not make you lower in God's eyes. Keeping specific commandments does not make you higher in God's eyes. For our Synagogue, we want to be a community striving to be like Yeshua in specific ways. We are made up of Jewish people and Gentile people who are striving together to be like Him! This will blow your mind: We (humans) were made in God's image (Genesis 1:26). Then Yeshua came into the world in our image (Philippians 2:7; Romans 8:3). Then we are told to be conformed to His image (Romans 8:28-29; 1 Corinthians 15:45-49). Why? Because we were made in Adam's image and walk in sin like Adam and Yeshua came as the second Adam so we could be like Him!! (Romans 5:15; 1 Corinthians 15:22). WOW! That will make you dizzy. I'm dizzy. So, we are made in God's image and we marred the image by falling into sin. God came in our image so that we could be transformed into His image again! If we want to be like Yeshua we walk in love, patience, kindness and all that good stuff. but it also means we don't take any junk from people who are looking to trip us up for believing what we believe! When I was 14 my dad led a Tuesday night Bible study. A Jewish man who did not believe in Yeshua came up to my dad looking to trip him up. The man asked, "My grandfather was an observant orthodox Jew who kept Torah to the best of his ability. He never heard the Gospel of Yeshua in his life. Is he in heaven or hell?" My dad answered, "God did not make me judge of where people go. But, I can tell you where you are going because you have heard of Yeshua and what he did for you!" BAM! As a 14 year old I thought to myself this is what it must have been like when Yeshua flipped the tables and spoke with such authority that people froze in their tracks. Even then, at 14, God began a work in me to strive to be like Yeshua. Why? because He is God and He came in my image so that I could be transformed into more of His likeness everyday. I mess up. I don't always represent Him well. I say the wrong thing often. I hurt people. but, I know that God is doing a work in me to be more like Him. I will not give up. I will not turn back. I want to be more like Him in every part of my life. To me, that is what it means to "walk in the likeness of Messiah Yeshua"! Stay tuned for the next part of The Purpose of Beit Messiah: "the healing of the world". Or come and hear it this Shabbat (Directions To Beit Messiah). Peace and Love! I thank God for my TRUE friends (of which i have a few). Having TRUE friends is important. There are different levels of friendship. TRUE friend is the highest level. We all have acquaintances. We all have school friends. We all have friends that were friends during a season of our lives. We all have friends of friends. But I have found that not everyone has TRUE friends. My emphasis on "TRUE" is intentional because true friends are friends that stick with you. True friends are there for joy and hurt. True friends are there even when you are annoying. True friends make a commitment to remain friends through all kinds of obstacles. My emphasis on "true" does not mean friendships of other levels are not important or necessary. Friendships of many levels are important. It is often the more difficult and time consuming relationships that fall by the way side because well, they are difficult and time consuming. But TRUE friendships are extremely rewarding. It is important to have people that choose you. Family can't really be chosen (although you have to choose wether to be friendly with family). But friends are a conscious choice. And when two friends choose each other and decide that nothing will come in the way of their friendship great things happen. To have people in your life like you because you are you is a powerful and most encouraging force! Do you have friends like that? If not, be one for somebody else. There is something powerful in becoming for others what we most desire for ourselves. I feel inspired! Who inspires you? Being together with people that are working for the same things that you are is really awesome! It is inspiring to be in a room with people who have struggled through great adversity so that I can be the Jew, man, husband, father, & rabbi that I am today. I am inspired by people like Neil and Jamie Lash who have been working in Messianic ministry since 1976 and still have a passion and drive to keep working for the Lord! I am inspired by Joel Liberman and the honesty that he walks in! He is a good man! I'm inspired by My aunt and uncle, Jan and Marlene Rosenberg, who have overcome incredible obstacles and are creating and doing incredible things for the kingdom of God. I am inspired by Frank Lowinger who walks in a humility that only comes from 30 years of ministry. I am inspired by Kevin and Tiffany Solomon who seem to enjoy eachother and love eachother like the rest of us SHOULD be with our spouse. I'm inspired to be better at all the things that I am because I have the privilege and awesome opportunity to spend time with awesome and Godly people! Who inspires you? !